Hamilton, Bermuda, January 17, 2017 -- In case you haven’t noticed, the world today is pretty much buggered. Global warming. Deforestation. Disposable forks. Plastic straws. They’re wreaking havoc on our precious little planet, and if we continue to let this happen, we’re all dead. 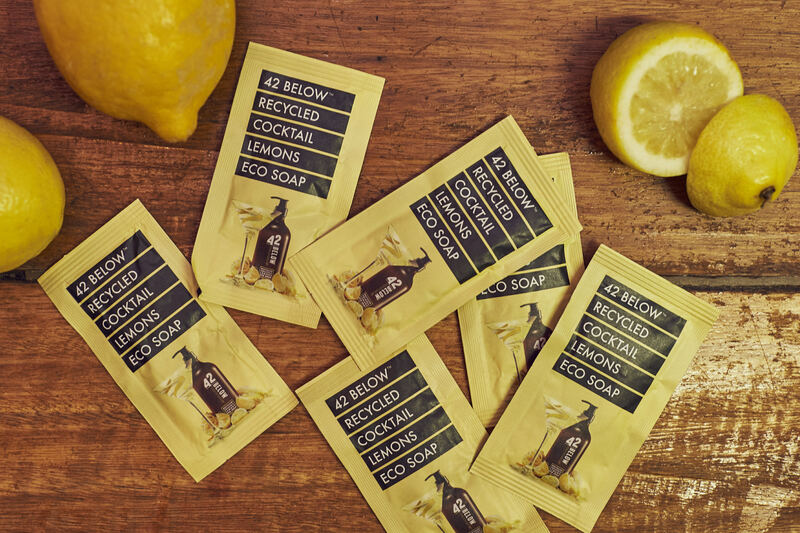 So the good people at 42BELOW® vodka have decided to launch their own kiwi planet-saving initiative and are introducing ‘42BELOW Recycled Cocktail Lemons Eco Soap.’ The world’s first soap made from recycled cocktail lemons, and probably the odd martini olive. It’s recycling, on a sociable scale. The crew at Sydney’s Stitch (part of House of Pocket) couldn’t wait to jump on board the Lemon Soap bandwagon. “To be honest, 42BELOW has made it incredibly easy. They provided the bags, they come and pick it up, then they bring the soap - we just need to put scraps aside. As for savings, since starting the program in the last couple of weeks, we have we have saved on buying at least 25L of soap. The nice thing about this initiative is the customers get to experience it as well. Every customer goes to the bathroom at least once while they’re in the venue, so they can see the poster which explains it all and then use the actual soap - it’s really visual and practical,” concludes Lehoux. New Zealand is positioned on the 42nd parallel (hence the 42BELOW name) and this sets the benchmark for air purity worldwide. This pristine environment is the source of GE free wheat and AA rated spring water used to create 42BELOW. 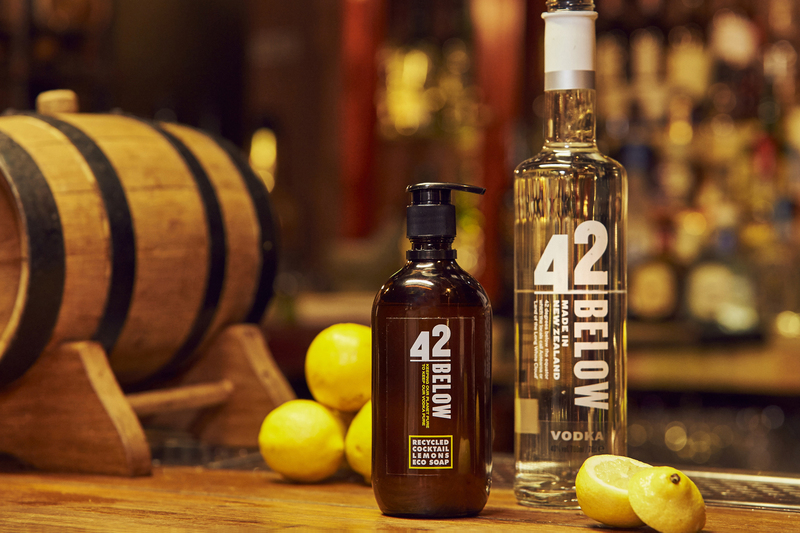 42BELOW is distilled four times for a higher level of purity and smoothness and is then filtered 35 times using charcoal filters, to give it a roundness and smooth character. 42BELOW is available in Pure and three uniquely New Zealand flavours - Passionfruit, Feijoa and Kiwifruit. 42BELOW flavours are made using all natural ingredients. Real fruit essence is infused with Pure 42BELOW to ensure that the natural fruit taste is preserved. The 42BELOW® brand is part of the portfolio of Bacardi Limited, headquartered in Hamilton, Bermuda. Bacardi Limited refers to the Bacardi group of companies, including Bacardi International Limited.